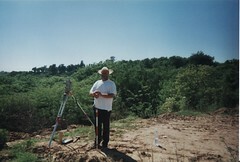 ← What Is A Land Surveyor? Land surveying is the art and science of accurately measuring parcels of land. Measurements such as dimensions, lengths, boundary lines, including structures within the area are all precisely determined through a land survey. These measurements are used to establish land maps, boundaries for ownership or for governmental purposes. It is a detailed study of every physical and cultural property of the land, whether above or beneath it, to illustrate it in usable form. Data is gathered through observations, research, field measurements, and data analysis for establishing property boundaries. Records from previous surveys and government records will strengthen the reports made after the survey. A land survey is classified according to the purpose or why the survey is being performed. Some of the common types of land survey are boundary surveys, topographic surveys, partition or subdivision surveys, flood elevation survey, property line adjustment survey, and extended title insurance coverage survey. Other services such as mapping, construction layout surveys, judicial surveys, registered land surveys are all part of land surveying. It is an essential element in every development of the environment especially in the fields of construction, transport, communication, mapping, and most especially in the definition of legal boundaries for ownership. 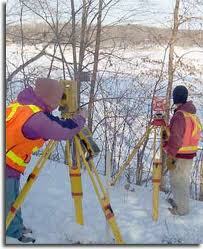 The key component in the field of land surveying is the land surveyor. A land surveyor is a person that takes charge of every activity that transpires during a land survey. It is the surveyor who makes the research and data gathering and even interpretation and analysis of all data wherein translation of all data gathered is crucial and should be checked, attested, and sworn in the law to be true and correct. It is important then for you to choose a land surveyor with the highest degree of expertise and who can assume responsibility for the complex tasks at hand. It should be emphasized that only a surveyor who has knowledge of the elements of geometry, trigonometry, engineering, mathematics, physics, and the law are expected to have the best land survey outcomes. Land surveying is a profession as old as the Egyptian times yet its importance to the human race still lives on. It is the best method to settle disputes over land ownership, it gives a clear picture of what buildings are suited to be constructed in a given land area, and it’s a convenient way to determine the exact dimensions of real estate to be purchased or sold. Optimum potential of the land you own can only be defined once you have a land survey. Whether you are planning to put it on the market, or should you want to use it for commercial purposes, a land survey must back you up if ever questions regarding everything about the land arise. Land surveying will provide a sense of security and peace of mind to every land owner and even to the future buyers. Land surveying will always be an integral part in protecting real estate and upholding of laws governing the utilization and distribution of your land assets. Call Oxford Land Surveying today at 256-733-1733 or fill out our contact form for more information concerning your land surveying needs.